It rained all weekend - which meant that we had to stay indoors most of the time. I did try to watch out for the brief moments that it stopped so I can take my two dogs for a walk. They were very brief. 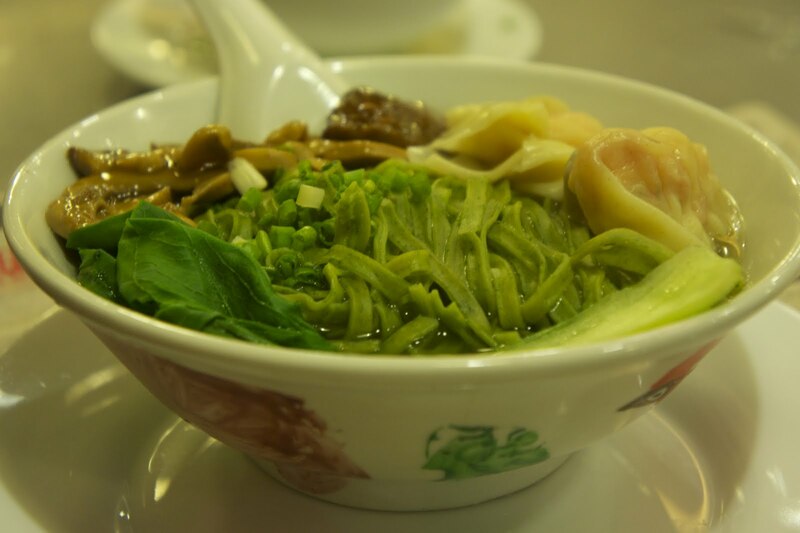 In rainy weather - I crave for soup. Soup with noodles keeps you warm. A good place to get soup-y noodles is North Park. Their broth is tasty and you have a large selection of toppings. 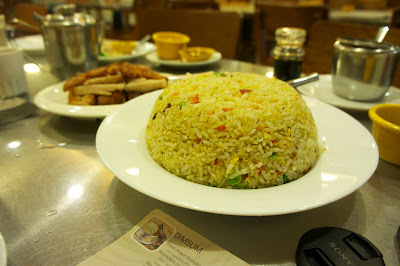 Soup is what we wanted in North Park - but I also wanted to get fried rice and Crispy Pork. 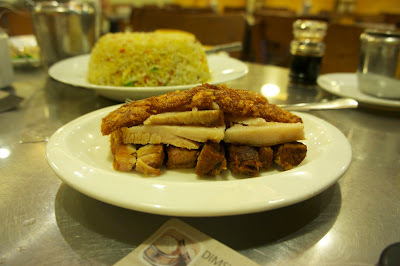 In the Philippines - Crispy Pork is called Lechon Macau. The Crispy Pork dish of North Park didn't look like it's counterpart served in Hong Kong or Singapore. This one looked like Crispy Liempo. I just realized that I've been eating too much Pork. Even in Fine Dining restaurants like Lemuria - I order Pork Belly. That's understandable because I don't like eating Beef. The only beef that I can eat is when it's cooked as a Hamburger or Bistek Filipino. 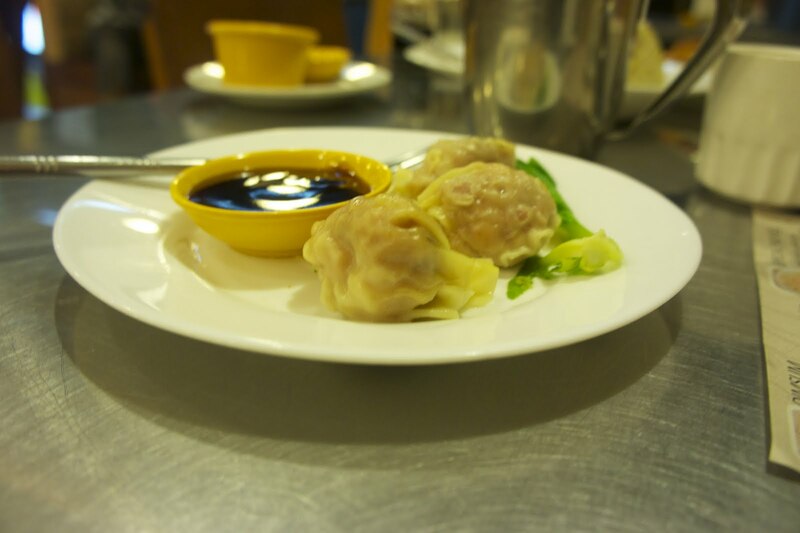 Apart from the above dishes - we also had Shrimp Dumpling. This is a good addition to the Noodle dish. 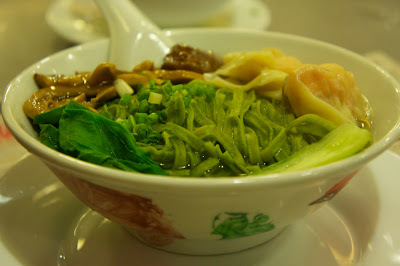 I have not been travelling to Hong Kong for months now --- so my brain has forgotten how good Hong Kong food is. This is why - I think that the North Park dishes started to taste good again. What do You Mean it's not Mine?